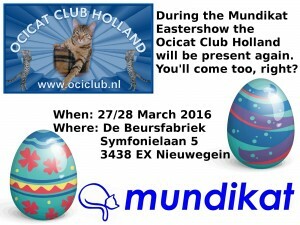 Hereby we invite all Ocicat breeders to join us to make it a wonderful show. 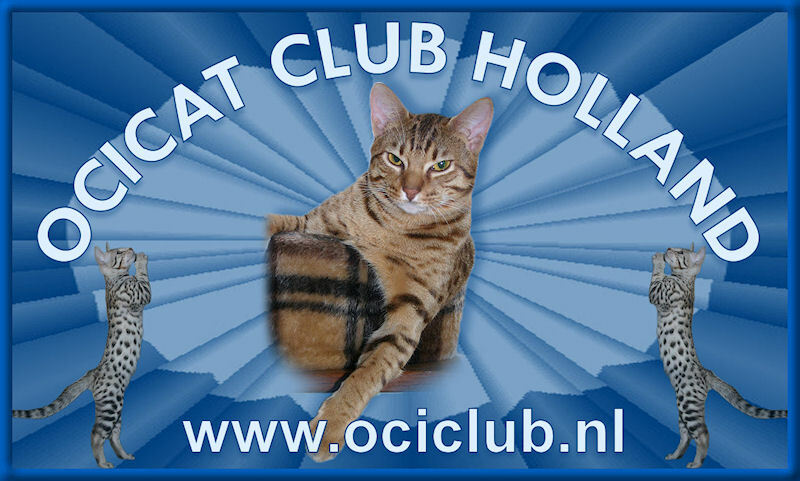 Sometimes it is necessary to find a new home for an adult Ocicat. The reasons about it can vary. 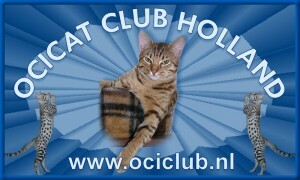 Sometimes this cat cannot get along with the rest of the group cat’s at home. Luckily there are people who rather want an adult cat than a kitten. An adult cat is easier and his character has been formed already. and have had their necessary injections and have their pedigree papers. 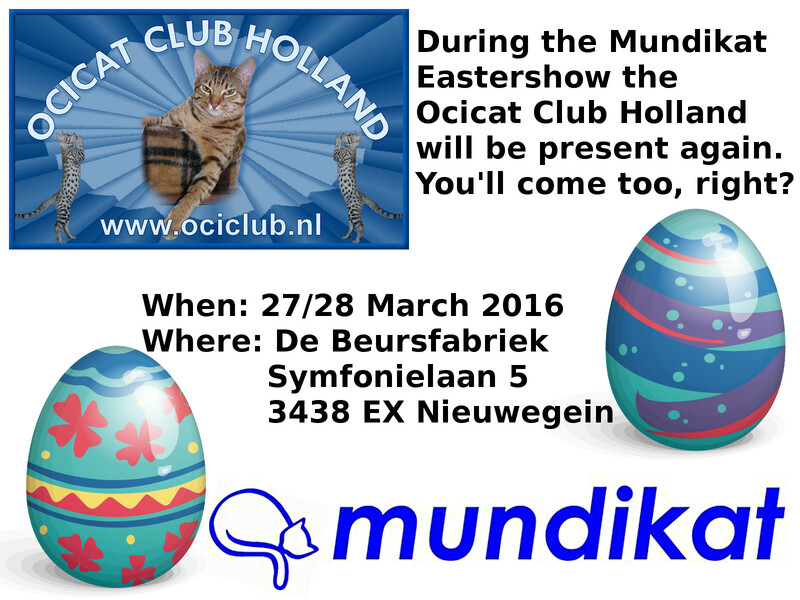 If you are interested in such an Ocicat, please let us know.